You're Strange. I Respect It: A gratuitous post dedicated to my love of television and The OA. I may not be doing the 5 movements yet, but I'm not promising I won't try. My success and failures at tackling 2016's New Year's Resolutions. Love doesn't always mean chocolates and flowers. Here are my top ten books for finding love. Goodreads 2015 Challenge! Success! 52 Books Completed! The entire list of 52 books that I read in 2015, and my goals for the new year. A look back at my favorite things from 2015, and also my top ten most popular posts from the year. Happy Christmas! For December we read Let It Snow: Three Holiday Romances by John Green, Maureen Johnson, and Lauren Myracle. Come see my review and Christmas Book Photo Shoot! Come discover December's Book of the Month! Making the perfect cup of hot tea and how to use Teavana's Perfectea Tea Maker. Special Holiday Edition! Let's vote for December's Book Club! 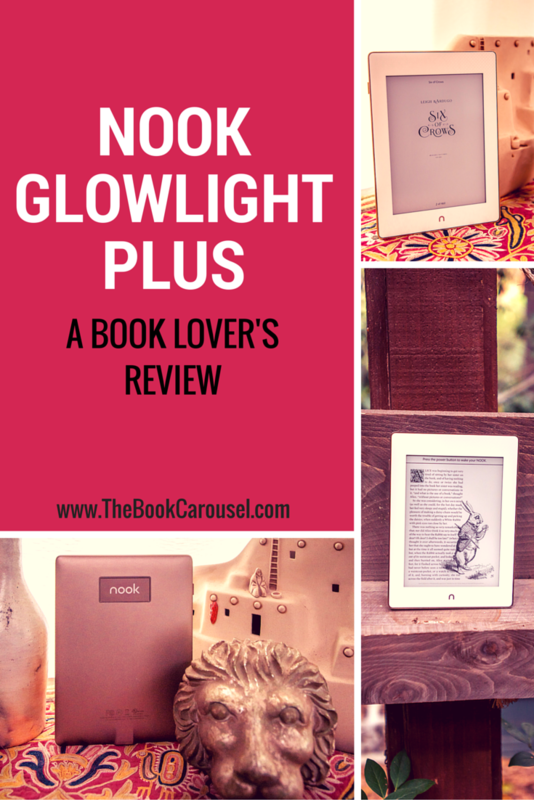 Read on for my thoughts on the new Nook Glowlight Plus. Let's vote for November's Book of the Month! One author's experience with self publishing.